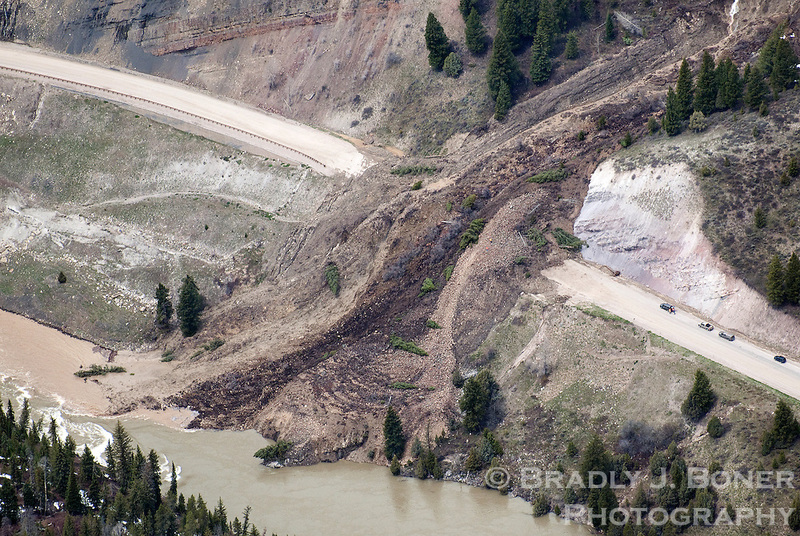 A massive landslide covers about 300 feet of Highway 89 in Snake River Canyon between the towns of Alpine and Jackson, Wyo. The slide, which is about 40 feet deep on the road and almost 2,000 feet long, began as a small mudslide but more than tripled in size by the next day. Crews examining the slide can be seen as orange dots on the right side of the mass.